Looking for a way to keep large deposits safe? 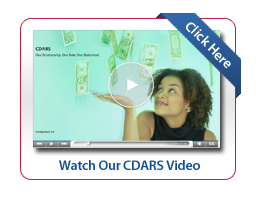 Ask us about CDARS (Certificate of Deposit Account Registry Service). It’s a great solution for businesses, nonprofit organizations, public funds managers, trustees, financial advisors, and individual investors. 1 Funds may be submitted for placement only after a depositor enters into the CDARS Deposit Placement Agreement with Heritage Bank. The agreement contains important information and conditions regarding the placement of funds by us.